Cleaning your home is important work, and one of the most important tools to help with that job is the humble vacuum cleaner. They’ve been around for a long time now and have had several different phases and designs, but their functions have remained the same. Their technology has come a long way since the early days, and there are a lot of different types now, all of them with their own pros and cons. A relatively new invention, these small vacuum cleaners are compact and lightweight, and are ideal when it comes to managing small messes around the home. They’re quite easy to use because most of the time it’s just an on/off switch that you need to press and that’s it. Mobile – easy to move to wherever you need to start vacuuming. Light – very easy to hold and manoeuvre. Simple – nothing complex need to know – just an on/off switch. Small capacity – you’ll need to frequently change bags or clean bins. Less power – it doesn’t have as much suction power as larger ones. Typically designed to be used for more or less any situation around the home, they’re quite easy and comfortable to use. They’re generally the ideal size to move around so you won’t feel very strained. But on the other hand, they tend to have a limited choice of attachments that lowers the viability somewhat. Comfortable – they’re tall enough to manoeuvre easily. Wide coverage – because of larger cleaning mouths they can cover more space. Great for carpets – they’re able to easily clean the dirt particles even from deep carpets. Few attachments – the number of attachments is too low and they’re rarely very practical to use. These generally smaller vacuums are really easy to store and are very versatile with what they can do, but they’re not all that comfortable to use. Because of their form and shape, you might not be able to move them around easily, but that’s why they come with plenty of useful attachments. Compact – because of their size they easier to store and move around. Plenty of attachments – they have a good number of attachments and they’re easy to use. Lightweight – their size and weight allow for them to be picked up easily. Cumbersome to use – the biggest drawback of this vacuum is the fact that you have to move around all the time and bend down a lot. The biggest advantage of this type of vacuum is the ability to clean up germs while vacuuming with extra efficiency. Just a few years ago they were really expensive to buy, but nowadays, machines like the Polti Steam Cleaner are very affordable and easy to find. Usable for all flooring – the technology at work allows for any type of flooring to clean efficiently. Very hygienic – they clean germs from every surface. Very bulky – they’re really sizeable and tend to take up a lot of space. Still a bit expensive – not as affordable as most other types of vacuums. 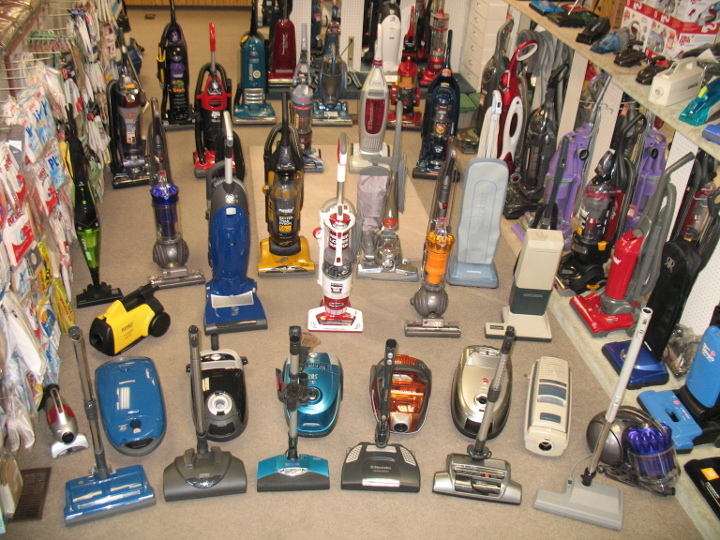 Vacuum cleaners are an important part of the household. Make sure to check out Spares2You if you need to find spare parts for the maintenance of your vacuum cleaners.